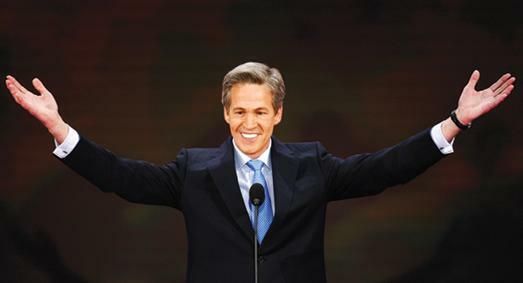 Mazal Tov To Former Senator Norm Coleman On His New Job! 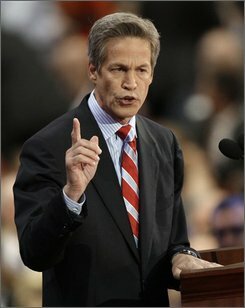 Norm Coleman once rode high in the Republican Party. As a conservative senator from a traditionally liberal state, the former mayor of St. Paul, MN – who started his political career as a Democrat – seemed to be on the fast track to national prominence. That the 2008 Republican National Convention took place in his home state was almost certainly not a coincidence; Had he not lost his re-election bid that year to now-Senator (and fellow yid) Al Franken, it’s likely that the GOP leadership would have positioned him for bigger things within the party. He was charismatic, handsome, and staunchly conservative, without necessarily appearing threatening or overzealous. Conversely, among his detractors, he was known as an unscrupulous flip-flopper, and something of an overly-slick political operator. So what is Coleman doing since his departure (rejection) from public service? It turns out, he’s working for Saudi Arabia. Coleman is also the director of the conservative Congressional Leadership Fund super-PAC, and sits on the board of directors for the Republican Jewish Coalition – Two groups which definitely come to mind when someone asks you to name a couple of organizations that probably have the same guy working for them as does the government of Saudi Arabia. Clearly, we should take this to mean that the royal house of Saud has, in the years since Coleman signed that letter so vociferously opposed to their religious discrimination and “Nazi-like hatred of Jews”, cleaned up their act. Just How Big Is A “Jewish Sized” Salad Anyways?